Apartments starting from Rs.72.42 Lacs. Every project is tastefully designed keeping in mind the taste, preferences, features & convenience of customers, resulting in great value for their money. Thane city is already witness to spectacular such as Rosa Bella, Rosa Vista, Rosa Gardenia & Rosa Royale.Equipped with all the modern amenities for your total comfort, Rosa Oasis is an address of elegant residential homes in Thane, where each apartment features unique and contemporary facts, Our edifice exudes endless charm, elegance and unmatchable class. Also it stands out for its alluring architecture , flawless quality standards and the contemporary benefits. Rosa Oaisis consist of 4 towers 21 storey and 18 storeys,Possession Dec,2016. 426 sq.ft. Carpet - Base Price ₹ 72.42 Lacs. 606 sq.ft. Carpet - Base Price ₹ 1.03 Crs. 706 sq.ft. Carpet - Base Price ₹ 1.2 Crs. Rosa Oasis details were updated in Mar 2019. Founded in 2009, in a world where construction is just about building great structures, all homes built by the ROSA Group are based on the strong belief that “Meeting customer expectations is just the first step, surpassing it is our endeavor.” It is for this reason that the best of machinery, most effective manpower, professional associates and efficient equipment are utilised and constantly upgraded to remain abreast of the trends and technology of the industry. ROSA Group is a Construction entity, a pioneering developer of integrated master-planned communities. The Group has transformed the real estate sector in Thane. ROSA’s world-class project development competencies are underlined by its iconic assets in Thane. As an institution, The Group stands for the same characteristics as its insignia and personifying trust reliability through exceptional performance, on-time delivery and excellent customer service and catering to the needs of the people at all times, The Group has proven itself to be worthy of its ethereal insignia. Over the years, the Group has transformed massive expanses of open land in Thane into residential societies and commercial hubs full of like and splendor. The Group has transformed cluster into prime complexes. Ever growing in its majesty, reputation, and fairness, ROSA today owns a land bank equivalent to twice the land already developed by the group. This is on the anvil for future development. The Group civilization is made of almost 1,000 homes and commercial spaces like offices, shops and showrooms. It is these diverse factors that unanimously stand evident to the vibrant transformation of what was once just a brilliant vision into a solid institution of reliability and trust that is today looked upon with respect and admiration by all those who live or aspire to live in any project. A vision that, with determination and ardent effort, has been made to come true. 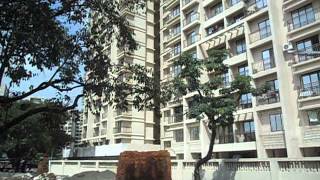 Rosa Oasis - Rosa Group Approved by the following Banks in Mumbai, Thane and Navi Mumbai. Click on the link below to download a Printable Rosa Oasis Project Brochure.